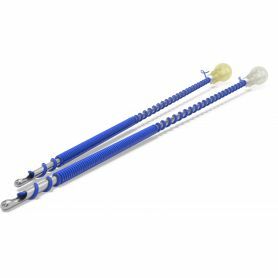 Absorbable mono-filament threads with barbs for soft tissue lifting and armouring. Threads are presented with specially designed barbs, meant to carry out both, lifting and revitalizing effect. 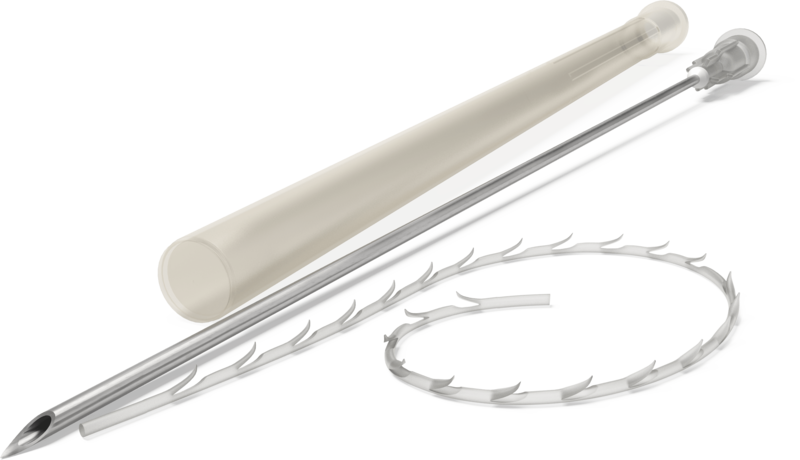 This absorbable mono-filament threads with barbs is implanted subcutaneously into soft tissues using a special guiding needle. Thread is left under the skin, while the needle is pulled out. P(LA/CL) thread with barbs USP 2/0, EP3, 120mm. - 10pcs. Blunt tip needle 1.1x120mm., straight - 1pcs. Lancet point needle 18Gx140mm., straight - 1 pcs. The revolutionary method of lifting, reinforcement and biorevitalization of face and body skin with APTOS threads. There are absorbable threads that were made from copolymer of L-lactide and Ꜫ-caprolactone and non-absorbable threads from polypropylene in assortment of the company. 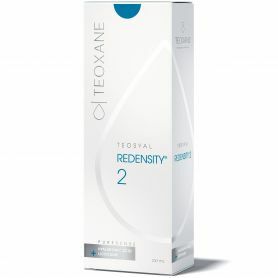 Polylactic acid in absorbable threads composition provides additional anti-aging effect and stimulates production of collagen and slows down the aging process. Aptos threads are available both in permanent (polypropylene) and resorbable (polylactic acid/caprolactone) version. 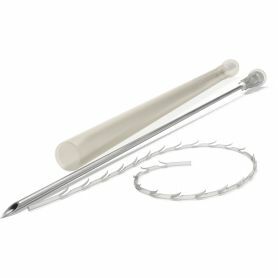 Both materials are safe and widely used in surgery for more than 50 years. Result after thread-lift lasts for 1,5 - 5 years, depending on thread composition. Absorbable bio-threads from copolymer of L-lactide and Ꜫ-caprolactone became more durable due to changing the configuration of the notches. Due to this the use of the method became even more efficient. After reinforcement by threads you instantly notice: skin will tighten, it`s quality and elasticity will be improved. During the time the effect doesn`t reduce, but only became stronger and keeps for up to two years. Due to using these methods the rehabilitation period is considerably reduced. This is ensured by using a needle with an atraumatic end that delaminates the tissues without damaging them. For a successful result during the correction is necessary to make only one puncture, traces of which do not remain on the skin. It has been more than 21 years passed since the first Aptos thread and method been introduced to the aesthetic world. Once inserted into subdermal tissue, the barbs lift the skin, creating fibrosis and stimulating formation of new collagen, necessary to provide support for the soft tissues, that lift them and hold in an upright position. As a result, better facial contour is visible immediately after the procedure.